Welcome to St. Finian's GAA Club website. I hope that you find it of use and of interest during your visit. The site contains a host of information including; club history, fixtures, leagues tables, player profiles, links to our business partners in the community, and plenty more. Since the meeting of the 22nd July 1983 from which emerged Cumann Naomh Fhionnáin, a club fielding one adult football team and two juvenile teams in both hurling and football, the club has grown from strength to strength. St Finian's GAA Club now fields teams at adult and juvenile level in Camogie, Hurling, and Ladies and Men's Football. A perusal of our club's history will show the success achieved both on and off the field of play. St. Finian's not only caters for the GAA needs in the parish of its foundation Rivervalley but also in the surrounding areas that include Boroimhe, Ridgewood, and Holywell. The tenacity and vision shown by the club's founders sowed the seeds of a community and has reaped the rewards of success not only on the playing fields but also through the involvement of hundreds of members and in taking possession of our clubhouse facilities at the beginning of 2010. St Finian's GAA club is located at the heart of the Parish of St. Finian's in Rivervalley. This is true not only in the sense of our physical location with our new clubhouse facilities overlooking our pitches in Rivervalley Park but also with the deep involvement that many of our members have in community activities and organisations within the Parish and the areas surrounding it. Not only are we involved with the people of the area but also with many of the local businesses with whom we have developed mutually beneficial relationships. These relationships find expression in club events which run through any given year and in the gear worn by club members and supporters. 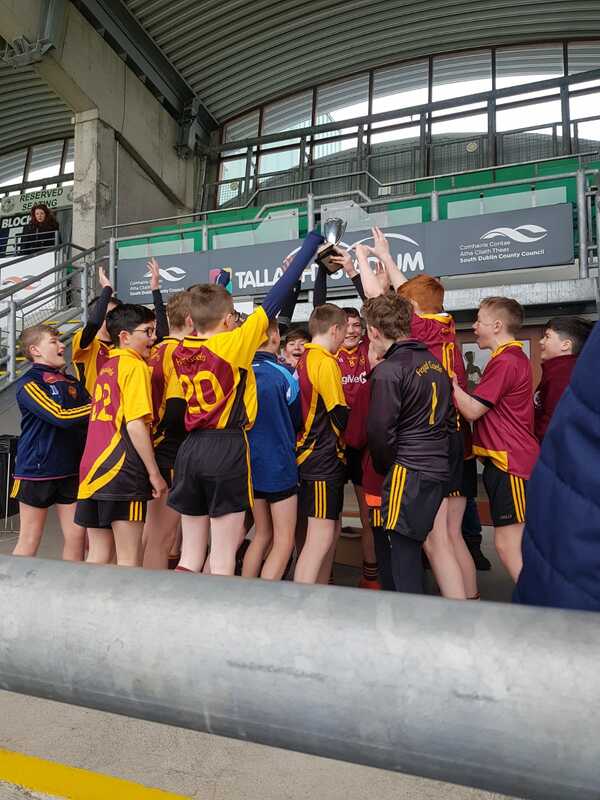 From its inception St. Finian's GAA Club has emphasised the importance of promoting the values and aspirations of the Gaelic Athletic Association. Our focus as a club has always been, and will continue to be, the achievement of excellence on the playing fields. Through the hard work and dedication of our members, through an inclusive and welcoming approach, and through the application of the highest of standards in fair play St. Finian's GAA Club is, and will continue to be, a club that engenders great pride in everyone associated with it. If you are looking for a sporting or recreational club that is community centred and aims to maintain the highest of standards then feel free to call around to the club or contact any of the members listed on this site. We are always looking for new players, young or not so young, whether experienced or not and we will always welcome people who want to get involved and become active in this great club. We look forward to meeting you.